One of Boosie's baby's mothers decided to put the rapper on full blast. Rochelle Wagner, mother of Boosie's daughter Torianna, hopped on Instagram Live to accuse the rapper of threatening violence against their child. Not only that, she claims Boosie killed her brother as well. During her live stream, Rochelle shared a recorded phone conversation between herself and Boosie (real name Torrence Hatch) via her daughter's Instagram account (really, girl?) where he allegedly threatened to black their daugher's eye. In the recording, the rapper threatens to "put a bag on her." When she asked what he said to their daughter to make her cry, he responded he was removing her from his will. She also asked Boosie if he called their daughter a "b*tch." He never responded. But he did say, "I'm gonna black her f*cking eye when I see her." Before she posted audio from the recording, Rochelle talked about Boosie getting acquitted for her brother's murder. Following her posts, Boosie hopped on IG Live in an attempt to discredit Rochelle. He kept calling her a "h*e" since she allegedly slept with him and his best friend. He also claims she has been arrested multiple times for theft and that their daughter has been exposed to drugs via her side of the family. 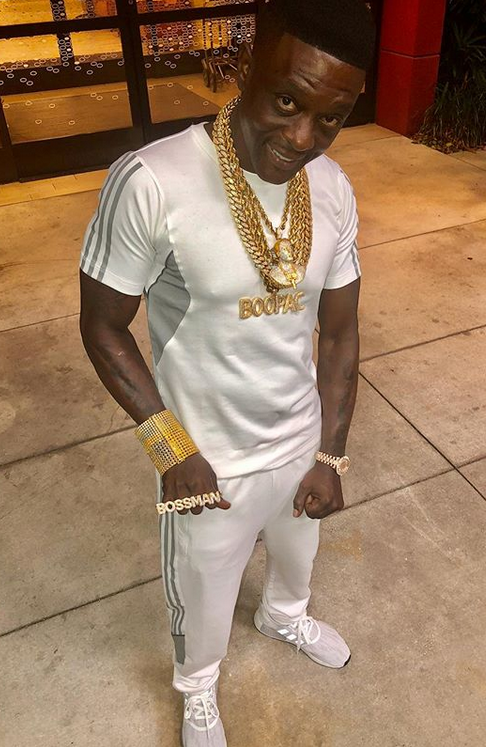 We'd like to note, Bossie never addressed her claims about him killing her brother or the audio she posted. Last year, Boosie and Rochelle were involved in a nasty custody battle of their then nine-year-old daughter. Boosie made claims that Rochelle was keeping their daughter away from him. We're not sure why, but the case was eventually thrown out by a judge, according to Complex.